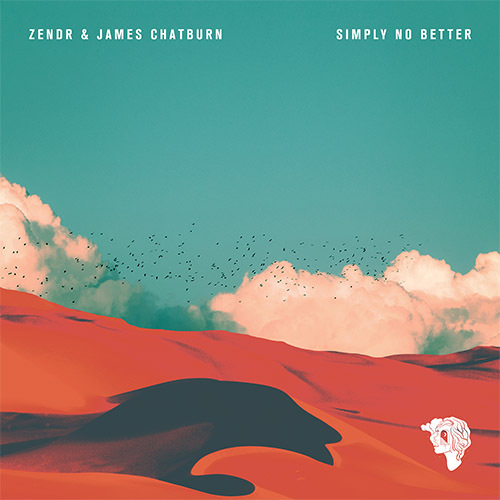 UK producer ZENDR and Australian artist James Chatburn have joined forces to deliver a fresh cut of future soul in the shape of ‘Simply No Better’. This new single from the pair is a textured mesh of instrumentals – a chunky breakbeat groove, glowing electronic beats and glistening synths – all pieced together with finesse and peppered with jazzy brass riffs. In doing so, ZENDR has crafted a cocktail that’s the perfect backdrop for Chatburn’s soulful vocals. While ‘Simply No Better’ radiates a mild aura of euphoria, it smoulders with a nagging sense of melancholy – mostly due to Chatburn’s world-weary and soul-soaked vocals. It is a rich and dreamy sound, both mellow and soulful, and oozing with opulent melodies throughout.